Herndon, VA– April 9, 2012 — Valador Inc., a Service-Disabled Veteran-Owned Small Business headquartered in Herndon VA, is proud to have supported NASA in it’s development of the NASA Open Government Plan 2.0 Summary Graphic. 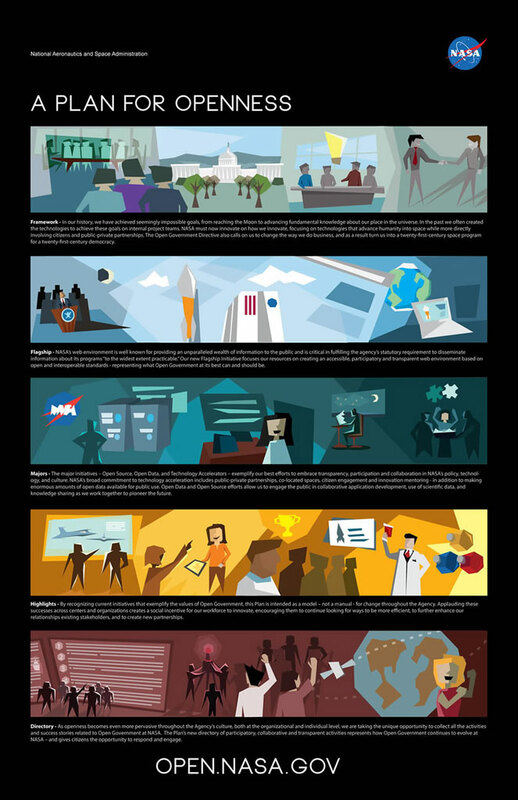 Developed by the Valador Inc. design dept, the infographic provides a visual summary of the ongoing efforts of the NASA Open Government initiative. For more information on version 2.0 of the NASA Open Government Plan click here. Valador is proud to contribute to the White House Open Government Initiative through the development of infographics, websites, and policy writing support at various NASA centers.